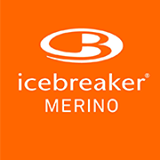 Stoked to be made an "Official Ambassador for icebreaker NZ." I think the icebreaker product is awesome, I have always enjoyed wearing the icebreaker range - great for traveling, training and competing in, plus hunting, fishing, biking or hiking the mountains. Awesome products the whole family enjoys wearing and I mean it - really appreciate their continued support.